Submitted by via Cornwall Co... on Fri, 30/06/2017 - 00:00.
b) lack of parking in the immediate area. Submitted by via Cornwall Co... on Mon, 18/12/2017 - 10:59. I suffer from Multiple Chemical Sensitivity, and have been tested and given advice by RCH, Treliske and BRI at Bristol. Avoidance is an essential part of my daily life, as I am Anaphylactic. Perfume and perfumed products (soap, shower gel, hair products, fabric conditioner etc) used by others is a major issue to me. My face swells, & I have headaches, tummy upsets and skin rashes when exposed to these chemicals. I can no longer attend Light & Life church as it currently numbers between 150-200 people, many of whom will be using perfumed products. Having the shop front would enable me to participate in smaller group activities, in a safer environment. I support the purchase of this shop. How refreshing to learn that our town may soon be offering more free community-based support to Hayle residents, from an accessible premises in the heart of the town. Replacing tired, empty shops designed by the Victorians for commercial practices, is a bold and forward-thinking attitude demonstrating positive support for the future, while providing for the urgent needs of todays' society. From a materialistic and capitalist view I am surprised at objections to a change of purpose from an empty, unproductive space to an exciting and vibrant venue offering benefits to all (as well as swelling the dwindling council coffers). It is true that we may loose a few hundred square feet of retail area from the congested Penpol Terrace but compare this to the recent gain of tens of thousands of square feet of retail space offered by the Asda superstore. The residents of Hayle now have a modern shopping centre offering convenience, variety and value seven days a week. How can the impact of losing a relatively small retail space be thought negative when compared to the huge positive gains afforded by the addition of a superstore to the shopping centre, not to mention the benefits of free three hour parking(as opposed to 30 mins), for hundreds of cars barely 100 metres away? From a materialistic and capitalist view, I am surprised at objections to a change of purpose for an empty, unproductive outlet, to a thriving and exciting venue offering benefits to all (as well as generating an income for the councils' dwindling coffers). It is true that we may loose a small retail area from the congested Penpol Terrace, but compare this to the advantages gained by the recent addition of the Asda superstore to Hayles' retail portfolio. The people of Hayle now have the advantages of a modern shopping centre offering convenience, variety and value seven days a week. How could the impact of losing a few hundred square feet of retail space, impact negatively when balanced against the recent gain of tens of thousands of square feet of new retail space, not to mention the benefit of three hours of free parking (as opposed to 30 mins) for hundreds of cars only a hundred metres away? I wholeheartedly support this application to the proposed changes for this premises. As a Hayle resident who has been involved with 'Hayle in Bloom' for many years including as secretary and work at the Hayle Day Care Centre; I care passionately for this town and its people. I have been a member of Hayle Light & Life for a few years and have witness first hand the caring and support the church has given me and my family through some difficult times recently. By having this building it will help to support the people who attend the church and the community by being in one central location during the week. This will enable the Pastors, Administrator and Intern to have an office where they can work from together in their duties but to have events for different group meetings, training, courses & Youth work activities. It will allow the church to outreach more in the community and people will be able to reach the church during the week more easily. At present Hayle Light & Life does not have a meeting place and rely on homes to be opened for groups and hiring rooms for different events. The premises has been empty now for at least 2 years and I feel that this building should be used and not become a derelict eyesore overlooking the harbour. Also the parking is not an issue as everyone is aware of the standard 30 minute waiting time which applies to everyone regardless of who owns the building and there is ample parking nearby. Hayle is a vibrant town and as we saw through the celebrations of Heyl Fest and the volume of people around the town was fantastic and there was a great vibe everywhere! Hayle has seen many changes in recent years good and bad but the community spirit is still the hub of this town. Please pass this application to enhance the towns future as it grows. I would like to take this opportunity to offer my support for the proposed change of use application for this premises. Firstly I offer my support as someone who works part-time with the Light and Life Church. This would provide a central location for the work and administration that we do, both within the church body and for the benefit of the wider community of Hayle. Having a location where people from Hayle and the local area can meet together during the week, participate with and find out about the activities of the church, and to be able to offer outreach and support to the community of Hayle, would be a positive asset to many in the community. Secondly, I am also a resident of Hayle and have been for many years. I am excited by the proposed plans that have been aired and put forward for the future of the town - with the developments of North and South Quay, the land adjacent to the Rugby Club / M&S and the growing housing infrastructure that is currently being developed. Hayle has a vibrancy and energy about it, and I hope that this will continue and grow. This is something that we should encourage and need to embrace. The closure of the Co-op has already had an impact on the town - I'm hoping that the new store going in there will build upon the community spirit that the Co-op brought. Hayle seems to have by and large escaped the downturn that many town centres across the county have seen, and surely this can only happen by keeping premises open and the town vibrant. I believe this change in use application would not only benefit the town, but prove to be an encouragement to future investors alike, as occupied and open premises can only be seen as a positive sign. Yes there are parking restrictions along Penpol Terrace, however I don't see this as an issue particular to this application, as a 30min maximum stay is kind of what it says. There is longer term parking available nearby; this could encourage people to spend more time in the Foundry area of Hayle, visiting and supporting the existing local businesses. As a retired Hayle town councillor I wish to state my support for this application. The property in question has been boarded up for some 24 months now and, despite being on the market for that period, has had no interest shown, other than this application. The proposed use would not cause any additional problems to parking outside of the property as there is already a 30 minute parking restriction; people going to the office would be parking in either the foundry car park or the Asda car park. Several years ago another shopfront further along the terrace was used by the HAYLE youth project as both administrative offices and a counselling room; there was no objection to change of use from A1 to D1 and I would suggest that this sets a precedent in this case. I cannot see why one would wish to discriminate between two different charities. Where are they all going to park? I support the change of use primarily in light of the planned development of offices, shops and restaurant units to be based on the Quay by Asda, which would see an increase in retail premises and hence this one shop front would not be missed from a retail point of view. Further it has remained empty for two years supporting this and its current frontage denigrates the area. This is further supported by the desire to help the heart and soul of the community by putting something in rather and would see an increase in footfall in the area across the whole year. Parking restrictions apply to everyone and would be no different for the address in whatever from it presents itself. Respectfully submitted. I am objecting to the change of use from a retail site to a day centre/training hall on the grounds that there will be a loss of business from this very busy retail centre on Penpol terace. This part of Hayle is primarily business and residential, it is important to all the businesses, residents and tourists who live or visit this area to remain as one of the possible shops to visit. To have this large business site removed would be a loss of a large percentage of trading space available in the local area. Accommodation of vehicles may also be a problem with this site becoming a training centre and could make drop in shoppers unable to stop no Penpol terrace. Neighbouring residents (flats above) may be affected by activity not contributed to by a retail site, for example after hours meetings/training other church hall use. This change of use application has not been posted as required on the building it's self or distributed to any residents who may be effected. 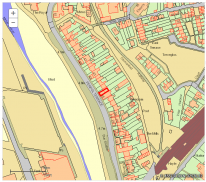 I am objecting to the above planning application on the grounds that it will be removing a business from the commercial centre of Hayle. Penpol Terrace is important as a street of shops for both residents and tourists alike. A bridge is even proposed to bring people over to the terrace from ASDA to support traders. Removing this fairly large commercial business from trading will most certainly have an impact of local services. Secondly the limited parking on the terrace will be taken up by the people attending which may be for a long time although it is only 30mins . There might well be a noise issue as there are two flats above. A point to note. There has been no application posted on the building itself.